Maritzburg United have three games at home and two away in the first five games in the 2016/17 campaign. 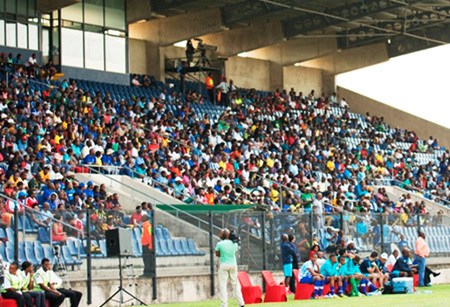 We open with a game on the road to the Free State against Bloem Celtic on the 23rd of August at Dr Molemela Stadium. But it is next encounter against the defending Champions Mamelodi Sundowns, that will be even more interesting. This game will be played on the 14th of October at Harry Gwala Stadium, with Supersport United visiting the Team of Choice the following Wednesday on the 21st. We then face another interesting encounter against an ambitious Kaizer Chiefs away at FNB Stadium on the 24th of October. It is a known fact that the Team of Choice never really struggles against such teams as Chiefs, Sundowns and Pirates, so these are expected to be real good encounters. The fifth game will be back at Harry Gwala against Polokwane City, a game that should provide a lot of entertainment for the fans. Coach Ernst Middendorp had a simple statement to make, “I am looking forward to the start,” he said.